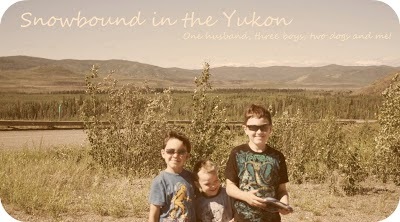 Snowbound in the Yukon: Randoms! Playing Beauty and the Beast. My haul from my Mom's garage. I also have an old window not show that I'm going to turn into something. Leaves have all fallen off! We've been doing art projects. Having fun! Hubs has been catching dinner for us! Enjoying some reading and relaxing. We've been a busy, busy household lately. My floor is not this messy! Nope!